Your guests will really appreciate it. You can choose to offer espresso beverages with our portable espresso bar, which can be set up inside any venue. If the event is outside, we can serve along side our coffee truck under our classic black pop-up tent. We bring the third-wave coffeehouse experience right to your wedding venue, business or event. We serve hot coffee brewed on a Gold Cup Brewer, cold brew coffee on tap, hot & iced teas and various baked goods right from the truck. 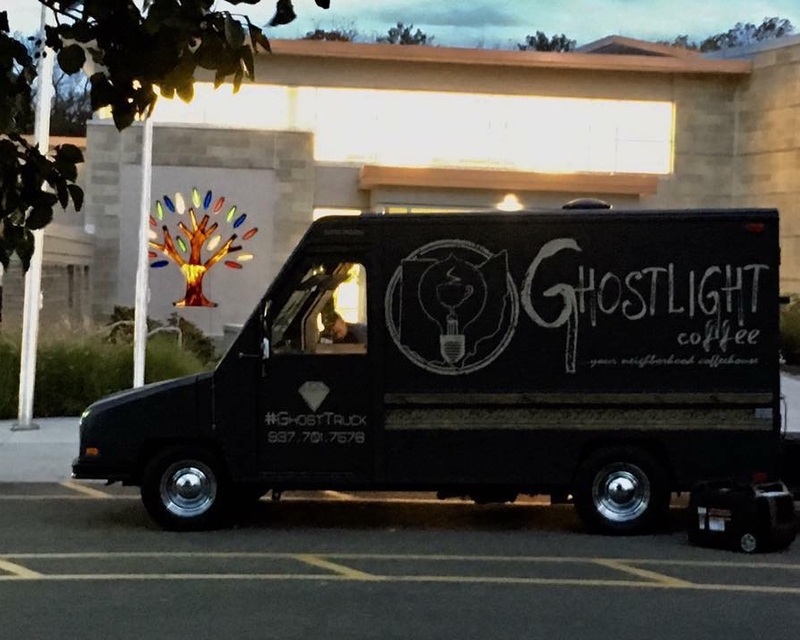 The Ghostlight Coffee bakers can prepare made-from-scratch baked goods to accompany coffee and espresso beverages. Customize your event menu with scones, muffins & bagels for a morning event; cookies, cakes & biscotti for an event or reception; ice cream sandwiches and s'mores always make for a special treat for your guests!